Point Roberts or the “The Point” as locals call it is a Peninsula of just 7 square miles that is attached to the Canadian mainland and is surrounded on three sides by water. 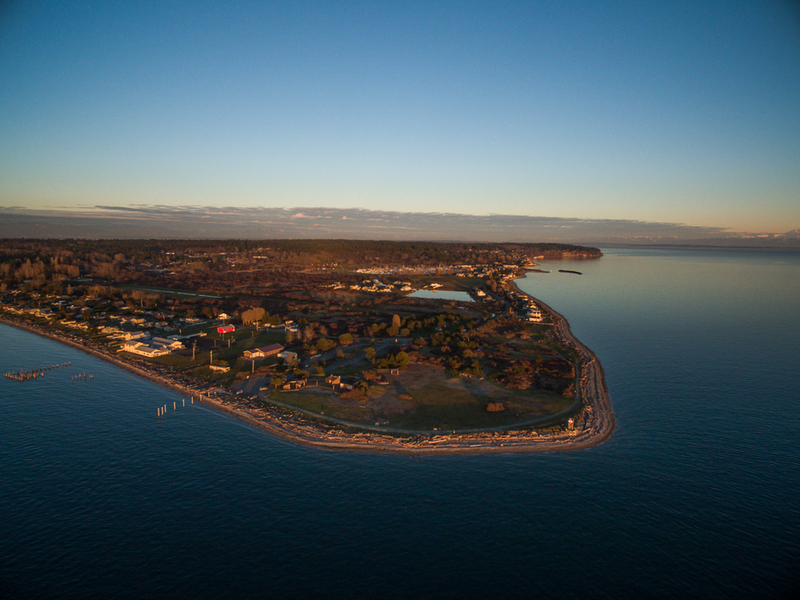 Point Roberts offers miles of hiking, biking, horseback riding trails, golf, numerous beaches and four State Parks. One of the primary highlights of Point Roberts is a “World Class Marina” and immediate access to the Georgia Straight and Salish Sea. With abundant wildlife including a variety of Whales, Orcas, Seals, Sea Otters, Eagles, Sea Birds and other wild life. The area is also known for great fishing of salmon, halibut and other varieties. The Point Roberts Marina features various amenities including all fuels, free pump-out, ice, licenses, bait, tackle, temporary or permanent moorage, Wi-Fi service on all docks, repair service and a restaurant. There is also reciprocal membership privileges to over 60 boat organizations with reciprocal moorage. However, the main attraction for this subject property is the unique location just south of the Canadian Border and nature pristine beauty of Ocean Front coast line. Making a unique develop Resort Development opportunity or private Estate.